Leverage the web as a data source to build your case, vet subjects, disprove or verify claims, combat fraud, reduce risk, and support your investigations team. Power your investigations with A.I. The web is an often underutilized treasure trove of data for eDiscovery, compliance, and special investigations. Potentially responsive information for use in building a court case, proving or disproving questions of fact, vetting jurors or other subjects, contending fraudulent claims, risk assessments, or ongoing monitoring are often found in public-facing social media posts on the internet. Unfortunately, identifying the right subject profiles is difficult due to the vast amount of data available online. Often this is a manual and time-consuming process and once profiles are found, the data can be tough to capture in a legally-defensible way that is admissible in court. Hanzo Dynamic Investigator can do the leg work for you, freeing your legal, compliance, and investigations teas to focus on reviewing results and gaining insight. 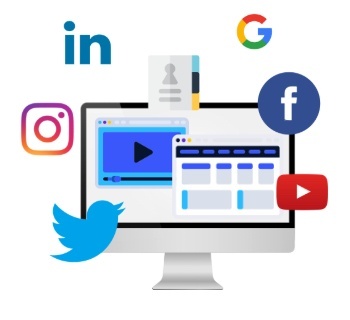 Simply input essential case information, and with the click of a button, Hanzo Dynamic Investigator will collate best match results across multiple social media and web platforms for review. Hanzo is improving the efficiency of our SIU by allowing our investigators to concentrate on more relevant data and isolating those claims that have a greater propensity for fraud. Let Hanzo's AI-powered toolset do the busy work, finding and identifying relevant people, companies, or content sources so your investigators can focus valuable time on review. Eliminate the risk associated with investigation teams using personal profiles to comb through stacks of web and social media data by transferring high-touch activity to a third party. Trust tamper-proof preservation in alignment with ISO28500 required WORM storage standards, built to withstand the highest legal scrutiny. Enhance your investigator's ability to find the right data faster with models built to rapidly search potential variations and determine accuracy against investigation parameters. Filter, sort, search and report investigations results with powerful analysis capabilities and easy to use sharing tools. Dig into chronological, geographical, or topical analysis or simply drop a PDF into your case file. Hanzo's investigation solution automates and standardizes the investigatory process—making it possible to efficiently leverage the web as a data source. Learn how artificial intelligence and machine learning is helping insurance companies identify and fight fraud.